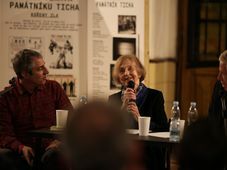 In the course of a life that spanned over 90 years, the writer and translator Heda Margolius Kovály survived the very worst that the twentieth century could bring: first Auschwitz and then the anti-Semitic show trials in 1950s Czechoslovakia, in which her husband was sentenced to death and executed. She died in 2010, but her moving account of her life, Under a Cruel Star, continues to be read widely. 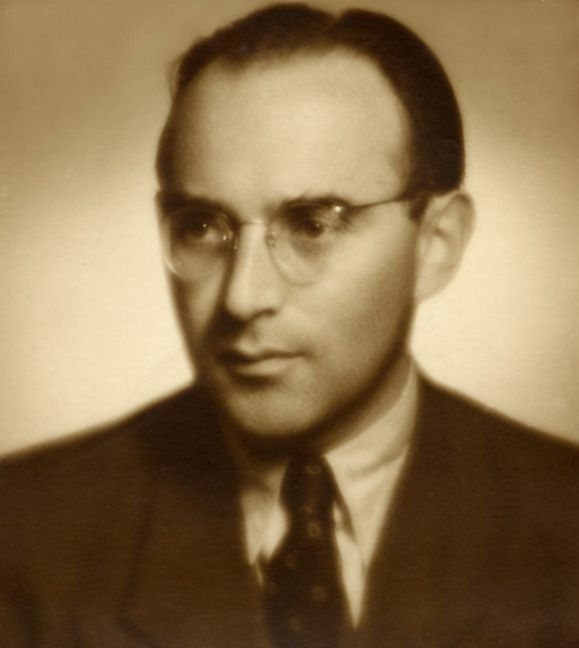 Heda Margolius Kovály also wrote a second book, a detective story set in Stalinist Prague. The book is a novel – taking inspiration from Raymond Chandler – but it is also steeped in autobiographical detail, a murder mystery that digs under the surface of a dark period in Czechoslovak history. For the first time it has been published in English translation. More from David Vaughan. 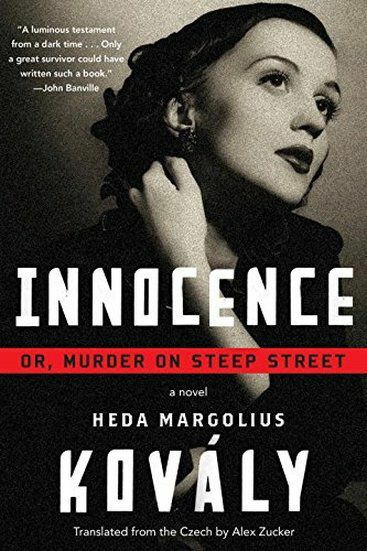 Heda Margolius Kovály, photo: Tatraplan, CC BY-SA 3.0 Both in the original Czech and in the English translation the book has an evocative title: Innocence; or Murder on Steep Street. It is set in a very real and identifiable Prague, although, by a nice twist, Steep Street itself – Příkrá ulice – is one of the few places that you will not find on the map. 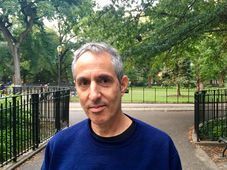 The translator is Alex Zucker, who in recent years has brought many contemporary Czech writers to an English-speaking readership. He took on the challenge of recreating the atmosphere of 1950s Prague, conjured up so vividly in the novel. Alex has just been in Prague to launch the book, which is published by Soho Press in New York. As part of the launch, I talked with him in The Globe Bookstore and he began with Heda Margolius Kovály’s extraordinary life story. “Heda Margolius Kovály was born in Prague. 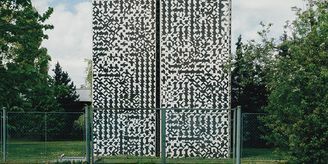 She came from a well-to-do Czech Jewish family and I think the part of her life story that made her interesting to this publisher was that she had written a memoir. In English it is called Under a Cruel Star and it talks about how she and her family were deported to Auschwitz in the Second World War and she survived by escaping a death-march. She had a childhood boyfriend called Rudolf Margolius, who also managed to survive, despite having been in Dachau. They reunited after the war, he became a high-ranking official in the Ministry of Industry and then was one of the people who were hanged as a result of the show-trials in 1952, along with Rudolf Slánský. Most of them were Jews. They were accused of a Zionist conspiracy against communism. So he survived the Holocaust only to be hanged for being a Zionist traitor to communism. So it’s a pretty awful fate. 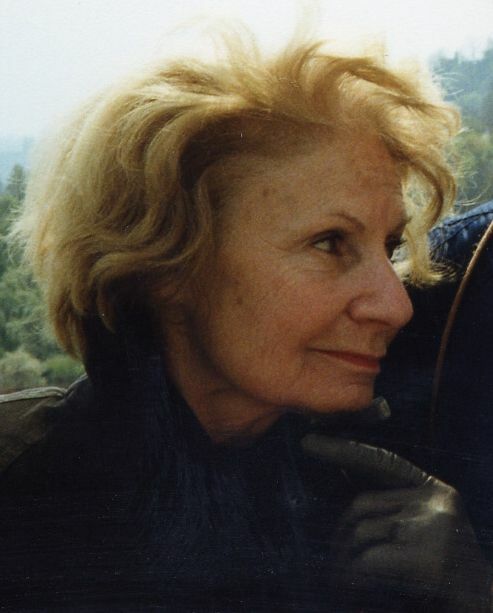 “She became a persona non grata and had a hard time getting jobs, but she did end up working in some publishing houses and ended up doing a lot of translating, including translating Raymond Chandler. Her son Ivan was a student in London when the Warsaw Pact invaded Prague in 1968, so he just stayed there. She eventually remarried a man named Pavel Kovály, who was a lawyer. I don’t exactly know how they got out of Czechoslovakia, but they moved to Cambridge. 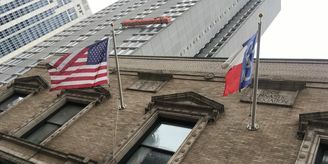 He was at the law faculty there and she worked in the law library at Harvard. 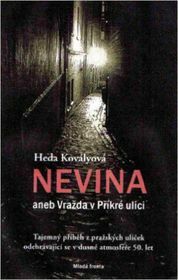 Photo: Soho Press „This novel, which in Czech is called Nevina, aneb vražda v Příkré ulici, was originally published in the publishing house Index in Cologne, Germany, in 1985, under the name Helena Nováková. She didn’t want anybody to know it was her and she didn’t want to get any friends into trouble, so she published it under a pseudonym. The main character in the novel is also called Helena Nováková. So even her son Ivan did not know that she had written this novel until after she died and he was going through her things. 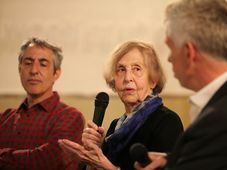 He found a copy of the book in Czech with the name Helena Nováková crossed out and Heda Margolius Kovályová written in, and then he realized that his mother had written the book. And I believe that one reason why Juliet was interested was that the central figures were all women. Could you tell us in a few words what the book is about and read us a short extract? I got off the tram at Můstek and walked the rest of the way. It was a windy day in early spring, the kind when a person ought to be out in a field or in the word, and every moment not spent boxed-up indoors is precious. Even though I was in a rush, I took the time to stop and look at a couple of shop windows. So what? No use driving myself crazy over another minute or two. I was in for a tough shift today anyway. Me, always so careful to stay out of conflict and keep to myself. Of all people, why did the boss have to go and pick me? A curtain of shadow dropped behind me as I stepped into the cinema lobby. I swiveled my head to look at the display case for Fotografia, the state-run photography studio. A bride in a veil holding a bouquet. The same one for six months now. When they first put her up she looked beautiful. Now her blissful smile had turned as sour as yesterday’s milk. A moment in time, snared in a lasso, strangled as it tried to escape. To the left, set in a long blank wall, was the gray-painted metal door that led to the projection booth. I stopped a moment, hesitating. Janeček, poor guy, was in for a tongue-lashing from the boss, and maybe the head office too. Twenty-eight and single, with six years’ experience as a projectionist, he had turned up four months ago with a recommendation from the job placement office. Didn’t talk to a soul. None of the ushers had managed to break him. Those girls tried every trick in the book. Especially Marie. She was eating her heart out having an unmarried man within reach who wouldn’t climb in the sack with her. Janeček was a good worker, too, punctual and polite. God only knows what got into him yesterday. Must have mixed up the reels or something. The movie started halfway through, in the middle of a chase scene: cars speeding around the curve, tires squealing, faces flashing past. At first the audience figured it for an unusually create opening sequence, but then the whistling started. You mentioned in one other interview that you thought that she might have even been doing this shifting subconsciously. The fact that the narrator has the same name as the pseudonym she gave herself when she first published it suggests that there’s something very personal going on. So, in what way is a detective story about a kid who’s murdered in a projection booth in a cinema an autobiographical novel? It seems to be fairly far removed from her own life story. Do you think that the genre of the detective novel is particularly suited to telling a story that is set in the ‘50s in Czechoslovakia? Do you have another extract for us? “I’ll find out one way or another,” Božena said, catching the eye of the men in uniform out on the sidewalk. She tipped her head and the officer grinned and winked. He was a familiar face. Came to the snack bar almost every day for a black brawn and beer. He’ll be in soon enough, Božena thought to herself, satisfied, going back behind the counter. I won’t spoil the story by saying what happens next. 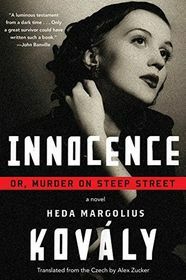 If you’d like to unravel the mystery, Heda Margolius Kovály’s wonderfully atmospheric crime novel of 1950s Prague, Innocence; or Murder on Steep Street, is published by Soho Press in New York. 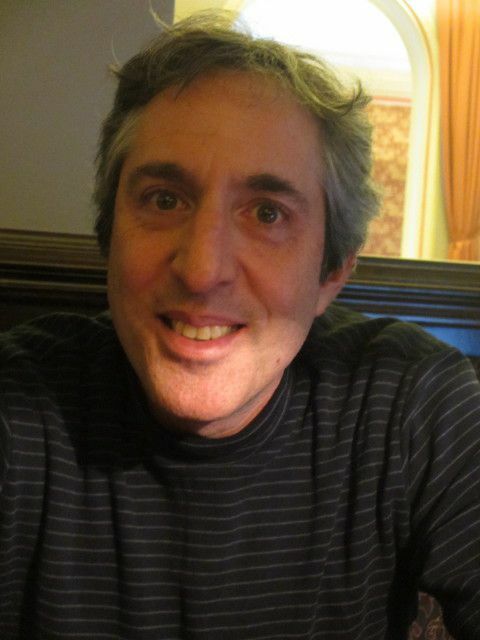 I was talking to the book’s translator, Alex Zucker.